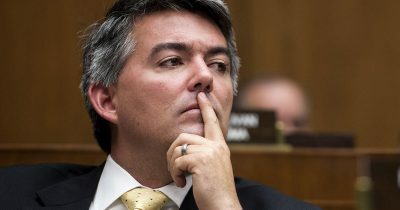 Gardner wants everyone to drop the “hyperbole” about GOP health care bill. But what hyperbole is he referring to? Some of the world’s largest oil-and-gas companies are calling on the Trump Administration not to weaken Obama-era regulations on methane pollution, which is a significant cause of global warming. But even though Anadarko Petroleum and Noble Energy basked in the media spotlight for helping fashion Colorado’s path-breaking rules on methane pollution, which served as the basis for Obama’s regulations, the two companies have yet to speak out against the Trump Administration’s plan to weaken the Obama rules. Exxon Mobil, BP, and Royal Dutch Shell have taken unusually sharp public stances against the Trump initiative to roll back Obama’s rules for repairing methane leaks in drilling operations. Gretchen Watkins, president of Royal Dutch Shell’s U.S. subsidiary, has called on the administration not only to retain the Obama regulations but tighten them. “We need to do more,” she told the Houston Chronicle. Calls to Anadarko and Noble, seeking to know if they are thinking of joining other oil-and-gas companies in speaking out against Trump’s proposal to rescind the Obama regulations, were not returned. The absence of the two companies on the list of companies challenging the administration on methane pollution surprises some industry observers–as do reports that Anadarko is among the companies actually supporting the Trump rollback. Not only did Anadarko and Noble proudly back Colorado’s first-in-the-nation rules, but they also brag about their stances on global warming. In public documents, Anadarko touts its work on Colorado’s 2104 methane rules. Both companies brag about their dedication to reducing methane emissions. “Environmental protection is an integral part of Noble Energy’s commitment to operational excellence and we’ve made significant advances in reducing U.S. methane emissions,” Noble Vice President Gary Willingham stated in a company report. Environmentalists say now is the time for Anadarko and Noble to walk their talk, as momentum seems to be building among oil-and-gas companies themselves, to push back on the Trump Administration’s initiative. Other oil industry companies have lobbied the administration to loosen the Obama-era methane rules, including the American Petroleum Institute, which lobbies, conducts research, and advocates on behalf of oil and gas companies. Both Anadarko and Noble are members of the American Petroleum Institute. The shift of some oil-and-gas entities toward support of the Obama methane rules comes not only in response to public pressure but also to what appears to be a softening among Republicans and some GOP leaders on the issue. This topic contains 0 replies, has 1 voice, and was last updated by Jason Salzman 1 month ago. Would Gardner Vote To End the Shutdown?